This is a sort of silly post. Because 1. this is all over Pinterest and 2. this hardly requires an entire post due to complexity. But unless I read this elsewhere, I would not have been in the know. So in case y'all are curious too, here is a great little project that takes exactly eight seconds and cuts your hand soap bill down to just 1/3. I love foaming hand soap. It's fun. And well...I just prefer it. Soap is not expensive. However, I have found that foaming soap is more expensive than regular hand soap. 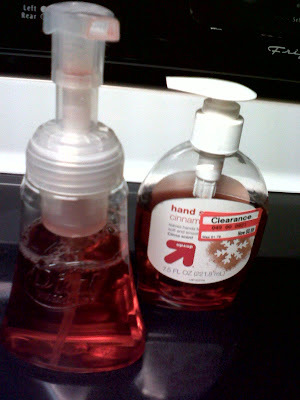 Which is really funny when you read how to make your own foaming hand soap. Ready? Can you handle this crazy recipe? I think you can. 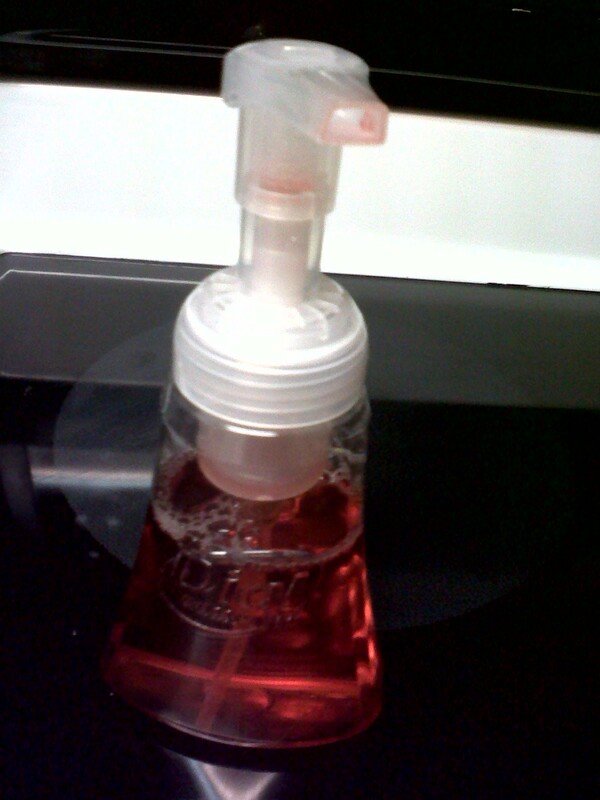 * Fill an empty foaming hand soap bottle 2/3 full of water. This is about the only tricky step. Remembering to add the water FIRST. Trust me on that one. You will have foam everywhere otherwise. Water first first first. 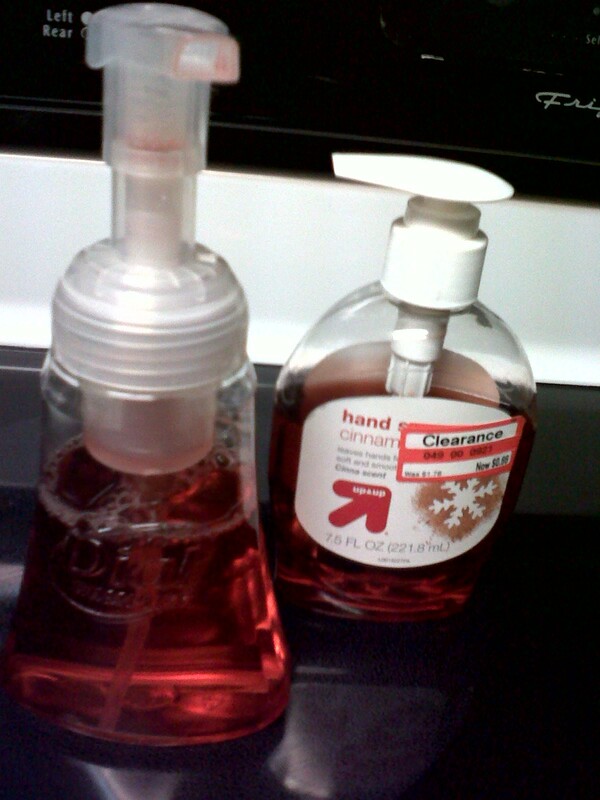 * Fill the bottle that now contains 2/3 water with 1/3 regular hand soap of choice. * Put the lid back on and call it a day! Did you pick up on the funny part that I noted above? 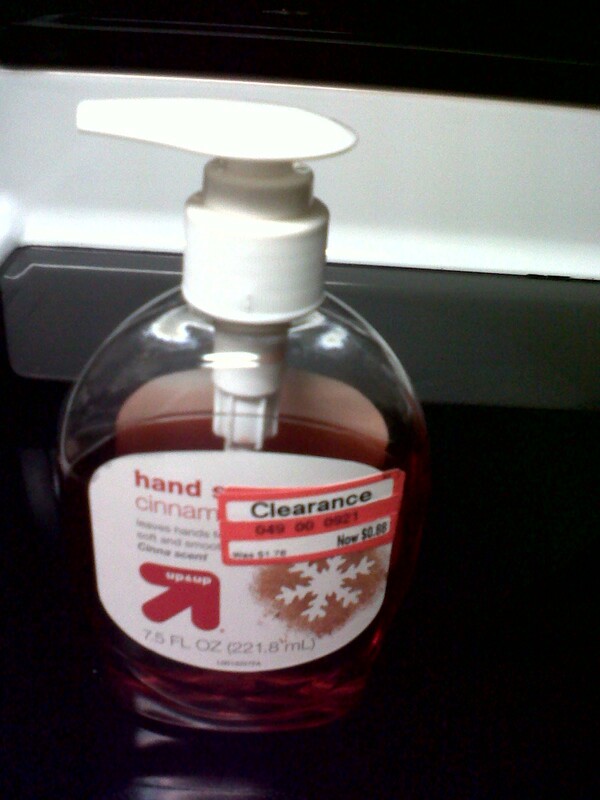 Foaming soap is more expensive than regular soap. But it uses 2/3 less product! Go forth and make foamy soap. All the cool kids are doing it! ooo great idea!!! Love this! Great - thanks for the post. I also prefer foaming soap but hate the extra cost. Ooh la la! That is bizarre! Thanks for sharing! I knew you could do this but I didn't know the ratio of soap to water. I'll try this, for sure! I love foaming soap so I am definitely going to be trying this!